CUCET 2019: CUCET stands for Central Universities Common Entrance Test. The test is all together taken up by 10 central universities of prominent states. The participating CUCET University for the test are: Haryana, Jharkhand, Jammu, Karnataka, Kashmir, Kerala, Punjab, Rajasthan, South Bihar and Tamil Nadu. Latest Update: Last date for CUCET 2019 online registration has been extended upto 20th April 2019. Latest Update: CUCET 2019 Exam will be conducted on 25th & 26th May 2019. Check the complete schedule below. Latest Update: CUCET Online Registration opens from 13th March 2019. Check Procedure and Apply Online. Latest Update: CUCET 2019 Advertisement Released!! Check Information Below. For pursuing any of the courses offered by these universities, each and every aspirant has to take CUCET 2019 Exam. 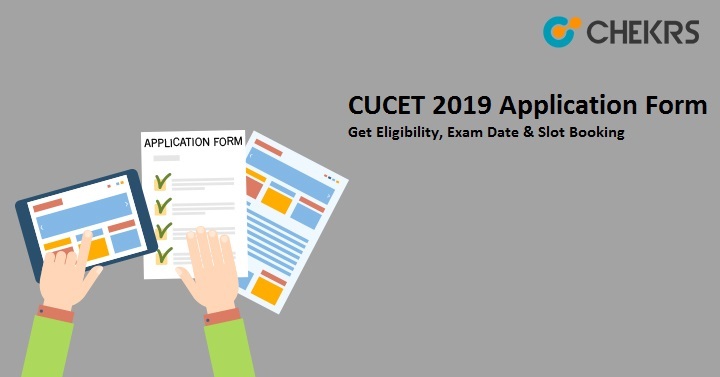 Here, the article will help each and every candidate to know legitimate information on CUCET 2019 Notification which provides you complete details like eligibility, application form submission process, the results and how you can avail CUCET Courses Offered in UG and PG levels. The complete process of getting admission in the university is lengthy. Thus, the below shared table will help you all to catch highlights of CUCET Notification Pdf. The aspirants of different courses are informed that not every university provides all courses. For UG technical programs offered in these universities are B.Tech & B.Sc. For the PG Technical and Management courses candidates have options in M.Tech/MCA, MBA and Integrated course. Along with the CUCET Exam Details, here the students will be able to check whether their choice of university offers their course or not. Well, qualifying the exam doesn’t entitle CUCET admission in the choice of university and one has to rely only on the counselling process for the same. All the 10 participating universities offer different courses. As the engineering aspirants are looking for relevant courses available to them i.e. B.Tech/ M.Tech, it is crucial for them to learn under what CUCET Eligibility Criteria their application forms will be accepted. For UG Programs: Candidate should have passed 10+2 with minimum 45% marks from recognized board. B.Tech and B.Sc: Compulsory subjects in 12th/ 10+2 are Physics and Mathematics, Optional Subjects: Chemistry, Biology, Biotechnology and others. For PG courses (M.Sc/M.Tech/MBA/ Integrated Science): Candidate should have passed his/her Bachelors education in relevant subject with minimum 50% aggregate. As notified earlier, only common entrance exam will help the aspirants get admission in these stop state central universities. Thus, paying attention to the application submission process is more necessary. The CUCET Application Date will commence in the month of where after which, applicants will have to fill their forms before last date. The CUCET will be offline method. Therefore applicants ought to be attentive while submitting their CUCET Application Form, as incorrect details may result in allotment of far exam center. Here we are discussing the right procedure. From the home page find the application form link and open it. Once, complete the online application form will appear on the screens. Proceed further after entering correct information, as asked to fill. Recheck all that you have submitted and click on submit. Once form is submitted, click on the option of fee payment through online mode. Candidates who will be filling application fee and form direct will get instant confirmation, however those who will make it through challan will have to wait for a week. The CUCET is a multi-university exam organized at a national level. Each region has its own significant change in preference. Therefore, to keep a balanced form for all applying students, the CUCET Exam Pattern has been kept different from all others. Subjects: Physics, Mathematics, Domain knowledge and language Proficiency and General Awareness, Mathematical and Analytical skills. Marking Scheme: 01 mark will be awarded for each correct answer and negative marking done of 0.25 marks. From the Part B of exam, candidates will have to attempt any ¾ sections. However more instructions will be given in the exam paper. For Integrated courses/MBA/ LLB/or any other general courses, only one paper comprising of 100 MCQs will be held. Syllabus will act as the game changer for students who are looking forward to get information on best what to prepare and what not. The CUCET Syllabus will vary widely as pool of information will be varied and different. Well, for each and every engineering field contender, here we will be giving relevant information such as CUCET Preparation Books along with the easily understandable syllabus topics. The CUCET Syllabus 2019 pdf will be available to download by students from the detailed article discussed separately. It is the crucial for each of the aspirant to be well prepared when they are trying their luck a national competitive exam. Here are a few of the necessary and must to be follow CUCET Exam Preparation tips for every contender of the exam. Keep a good practice of solving as much as possible faster. Include in your daily schedule to practice a few questions of mental ability. Indulge yourself in brainstorming sessions. Stay aware with the minute concepts of your domain as they have more probability to be asked in exam. The exam will be taken for 10 states central universities thus, the students will be getting their exam centers in these states only. All applicants will have their CUCET Exam Center 2019 in any of the following places: Haryana, Jharkhand, Jammu, Karnataka, Kashmir, Kerala, Punjab, Rajasthan, South Bihar and Tamil Nadu. The CUCET Examination Centers of each candidate will be listed in his admit card with complete venue address thus making it compulsory to download it timely. The admit card is the must for all the applicants of the examination. Through admit card one will be knowing his CUCET Exam Schedule, venue, timings and also the details for attempting examination. Besides, CUCET Exam Admit Card will help all to get entry in the exam hall as well. It will be easy like never for each candidate to CUCET Admit Card Download by following updates provided by us. Along with the notification describing eligibility criteria, the available number of seats will be listed by each university. The number of vacant seats will give each candidate a heated competition. Well, the results of performance can be known by participants through result only. The result will from all courses will be declared within a month of the exam. Here we will be bringing earliest notification on CUCET Result 2019 Date and it can be checked. As the result will be released on the rank basis, direct link provided by us will help contenders save their time. The result will not disclose that participant is able to get admission in any university or not. For the same purpose one will have to go take the counselling sessions. The CUCET Counselling Schedule will let know that according to which university’s base, the candidate is able to take admission. Only post to counselling one can proceed to submit CUCET Admission Fee and commence study for course.